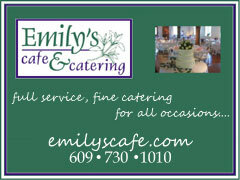 Fenwick Catering & Events is the new go-to source for catering services in Central New Jersey and beyond. Our parent company, Fenwick Hospitality Group, are the trusted professionals behind acclaimed locations Agricola, Dinky Bar & Kitchen and Cargot Brasserie, all located in Princeton, NJ. 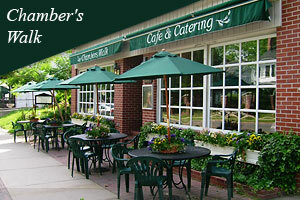 F C&E will bring the sensibility and flavors from those restaurants to your home, company or desired location. Using high-quality seasonal ingredients, including from the company's Great Road Farm, allows us to provide innovative, handcrafted food, that sets us apart from the rest. We pay attention to the most important details and our experienced team are experts in the latest catering trends. We strive to make your event memorable, with cuisine that is unforgettable. Max Hansen’s culinary pedigree is unparalleled. He has trained with Thomas Keller and Julia Child and is Bucks County's premiere caterer, serving the freshest, most innovative cuisine at some of the area's most desirable venues. For over 20 years, Max Hansen Caterer has made dreams come true; whether it’s a wedding, anniversary, bar mitzvah, birthday or a celebration of any kind, we provide you with the highest quality food and service to make your event memorable. MHC’s reputation for preparing innovative gourmet meals assures you that your event will be a delicious gastronomic experience for each of your guests, tended by a highly trained, friendly and capable staff. From the hors d’oeuvres to dessert, every course is prepared and presented with a strict attention to detail. If you have Max Hansen at your event your guests will know that you expect only the best. 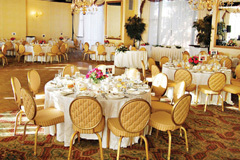 Weddings at the Nassau Inn are fulfilling for everyone. The Bride and Groom feel like royalty, and comfortable knowing everyone is well taken care of – during the festivities and their free time. The guests are thrilled to have anything they want at their fingertips. Most importantly, your hosts for the day/weekend are eager to serve your needs, whether they be in the restaurant, room service, on the dance floor or at the Concierge. At the end of the day, the memories of your special day…the entire weekend will have a beautiful backdrop with history no other venue can offer. We offer a variety of team building options to accommodate your group’s needs and budget! From our most popular VIP Chef cooking event to our new line of Construction Zone personalized team building packages that offer non-cooking team bonding fun! We have the flexibility and portability to bring our team building event anywhere, worldwide! Promote social interaction, show appreciation for your employees, build and strengthen new or existing teams, boost team unity and trust, improve communication and team cooperation. Our fun, interactive events will build lasting team relationships!